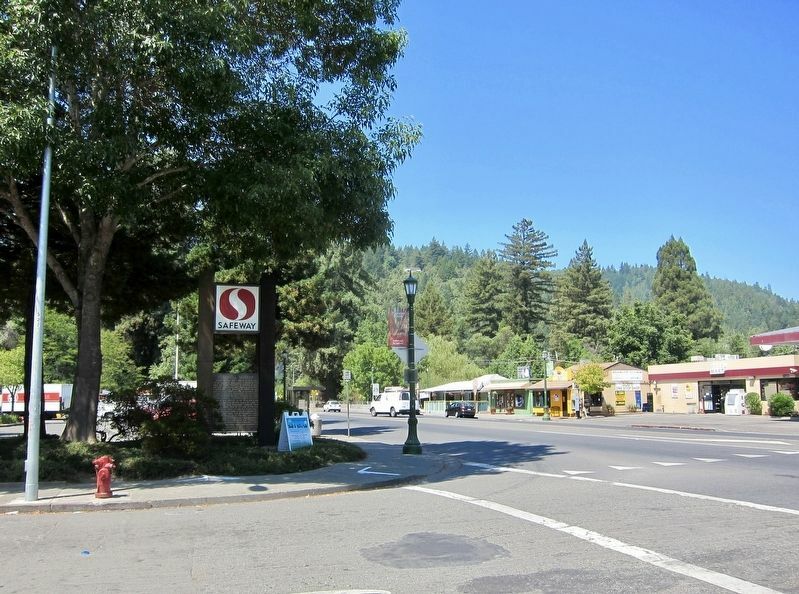 0.022′ W. Marker is in Guerneville, California, in Sonoma County. Marker is at the intersection of River Road and Mill Street, on the left when traveling west on River Road. Touch for map. Marker is at or near this postal address: 16405 Highway 116, Guerneville CA 95446, United States of America. Touch for directions. Other nearby markers. At least 8 other markers are within 7 miles of this marker, measured as the crow flies. Bank of Guerneville (about 500 feet away, measured in a direct line); Korbel Station (approx. 1.9 miles away); Pioneers of Preservation (approx. 2½ miles away); The Moscow Barn (approx. 3.8 miles away); First Time Poetry Left At Stage Holdup (approx. 4.4 miles away); Duncans Mills Depot Museum (approx. 4½ miles away); First Power Commercial Sawmill (approx. 5.7 miles away); The Wohler Ranch -- 1856 (approx. 6.7 miles away). Touch for a list and map of all markers in Guerneville. More about this marker. Although the marker is on the main road running through town, River Road (Highway 116), the marker is easy to miss, as it sits below a Safeway sign. The text is visible only when heading west. More. 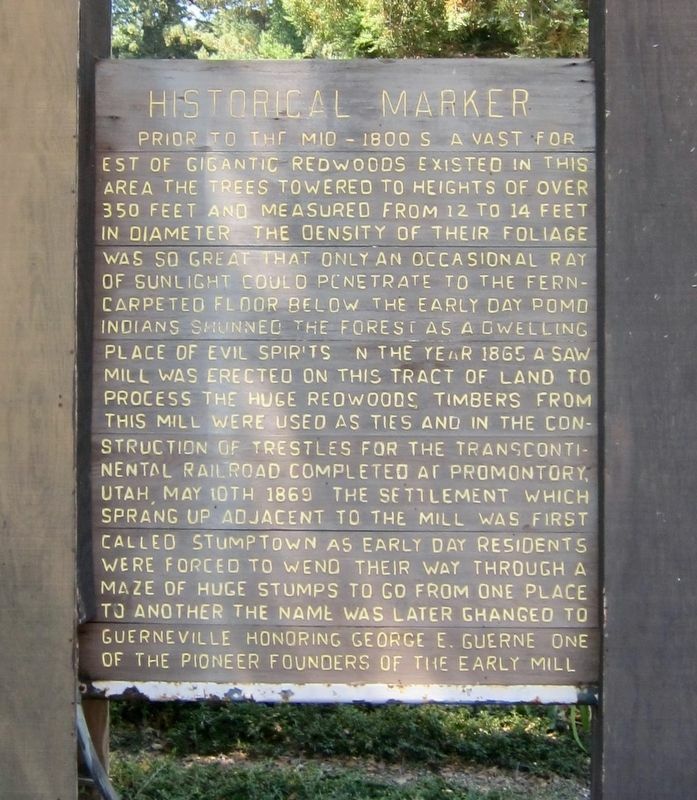 Search the internet for Guerneville Historical Marker. Credits. This page was last revised on August 17, 2017. This page originally submitted on August 17, 2017, by Andrew Ruppenstein of Sacramento, California. This page has been viewed 73 times since then and 6 times this year. Photos: 1, 2. submitted on August 17, 2017, by Andrew Ruppenstein of Sacramento, California.